How Did Ben Hogan Discover His Simple Golf Swing Secret? The advice given in this book The Stress Free Golf Swing is for you to have the simplest golf swing on earth. It finally solves the problem of golf swing timing for us busy golfers who don’t spend hours every day hitting balls. 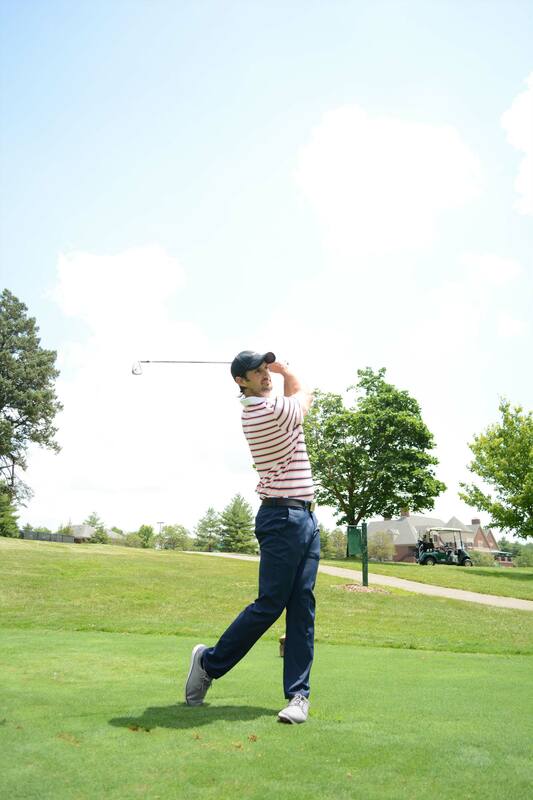 – You will only have one move to learn and perfect, which makes the golf swing incredibly easy. And I bet you’ve never worked on this one move before. – You won’t have countless “to do” lists in your head as you swing. You can play golf instead of playing ‘golf swing’. – You will swing with more power and control with this one move. As a result you will hit the ball longer, straighter and more consistently than ever before. – You’ll finally have a golf swing you can trust, because it’s simple and effective. – You’ll have good, consistent ball striking from one game to the next – even if you only play once a week if you’re lucky. – You’ll have a body-friendly swing. Hogan’s ball striking improved the older he got, and very soon you’ll be able to do the same.